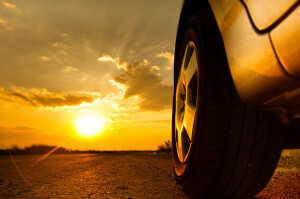 The summer months can present some issues for your vehicle if you don’t keep up on routine maintenance. Getting your car ready for the summer doesn’t have to be expensive, but it is crucial if you want to stay cool in your vehicle all summer long. The extreme heat of the summer months can not only cause mechanical issues for your vehicle, but it can also fade your paint, crack your dashboard and several other heat related damages. One of the first things to ensure that you and your vehicle will stay cool during the summer is checking the coolant system. This not only means checking the coolant fluid to make sure it’s full, but also checking the hoses and coolant reservoir. You never know when they have sprung leak or there could be a hole in the reservoir. When you go to inspect these components of your vehicle, make sure that it is cool and has not been running within the last couple hours. For safety reasons, you don’t want to be touching anything inside the engine bay when it has just been driven and is hot. When you are inspecting the hoses, check all the connection points and joints, be sure to feel the hoses to make sure they are firm and not soft or squishy. Another obvious component to look over for summertime is the air conditioning system in your vehicle. If you noticed that during the winter you turned on the AC or the defrost didn’t seem to be working correctly, before the summer gets too hot, it’s time to get it fixed. It could be a simple refrigerant recharger, or you may not have enough refrigerant in the system because you have a leak. Either way, you don’t want to take the chance of driving in the extreme heat of the summer without proper functioning air conditioning. The next thing recommended to be looked at is the tires. During the summertime, you are likely to travel more and go on extended road trips, it’s important that your tires be ready for this kind of mileage. With tires, it’s important to make sure you keep up with them year-round, and check for any cracks, sidewall damage, or uneven wearing of the tread. It’s crucial that you have the tires rotated at least every 3,000-5,000 miles, to keep the tread wearing even and get the best use out of your tires. During the winter, many maintenance upkeeps get tossed to the side because it’s simply too cold, but once it’s warm you should start planning when to examine your tires and other details of your car. Then lastly, it’s best to do an overall check of the different fluids, belts and other important parts of your vehicle. Check and top off all the fluids in your car, windshield washer fluid, oil, brake fluid, and power-steering fluid, you never know when one of these might be getting low. Getting your vehicle ready for summer doesn’t have to be a big project or a big expense out of your pocket. With the tips mentioned here, you should be able to quickly and cheaply get your vehicle ready to take on the summer heat. Changing a flat tire isn’t near as hard as you would think it is to do, and it’s a great skill to have for times of emergency. You never know when one of your tires might decide to pop, or what may pop up in the road that gives you a flat, however, it’s best to know what to do either way. When you first realize that you have a flat tire, the most important thing is safety. The first important thing to remember is to not slam on the brakes, or turn abruptly when you realize your tire is flat. Make sure you pull over or pull off the road in a safe location and out of the way of traffic. If you can find an empty parking lot, this is ideal. Somewhere that has a level ground will work best because you don’t want your car to roll. In addition, never change your tire if you are on a tight or narrow curve of the road, keep driving slowly until you find a safer spot. If you drive slow you can help reduce the possibility of ruining your wheel, but a ruined wheel is better than risking your life. Turn on your hazard lights: These are to signal to other drivers that you are broken down and they should proceed around you with caution. Apply wheel wedges: Wheel wedges are just another tool to ensure that your vehicle won’t roll. If you don’t have wheel wedges, large stones or bricks will work the same. You place them opposite of them tire you are changing. If you’re changing a front tire, place the wheel wedges on the rear tires and vice versa. Remove hubcap or wheel cover: If your lug nuts are exposed you can certainly skip this part. But if you do have a hubcap or wheel cover, it’s best to take that off before you jack up the vehicle. Loosen the lug nuts: If you have a kit to change the tire, it should have a lug wrench to help you, if not, this is something to always keep in your vehicle for emergencies. Start turning the lug nuts counterclockwise until they start to give. Unscrew them about ¼ to ½ of a turn but don’t take them completely off yet. Place the jack under the vehicle: Place the jack under the vehicle. Typically, the correct place to place the jack is beneath the vehicle frame alongside the tire that is flat. Usually there is molded plastic underneath the vehicle, with a spot cleared of exposed metal where you are supposed to place the jack. For more specifics of where to place the jack under your vehicle, look in the owner’s manual. Raise the vehicle with the jack: When you go to raise the jack, the safest way to do it is with a small 2×6 piece of wood. If you have the small piece of wood, or something similar, use it to help prevent the jack from settling under the weight of the vehicle. If you’re on asphalt, this will be very helpful. Once you have the jack secured, pump the jack handle and lift the flat tire about 6 inches off the ground. This will give you enough space to maneuver around the old tire and the spare. Unscrew the lug nuts: Since you already got them lose, this should be easy. Just finish unscrewing them and take them off. Remove the flat tire: Remove the flat tire and set it aside, making sure it won’t roll away. Mount the spare on the lug bolts: Line up the lug bolts and mount the tire. Tighten the lug nuts by hand: Tighten up all the lug nuts by hand. Make them as tight as you can, you will tighten them with a wrench later. Lower the vehicle and tighten the lug nuts again: Lower the vehicle, but not all the way then proceed to tighten the lug nuts. When you tighten the lug nuts, tighten them as much as you can, put your body weight against them to tighten them more. Lower the vehicle completely: Once it’s completely lowered, remove the jack and tighten the lug nuts one last time. Store all the equipment: Put away all the tools you used, the jack, wrench, wheel wedges, and the 2×6 piece of wood. Check the tire pressure of the spare: It’s important that you check the tire pressure of the spare, if it’s low be very careful and drive slowly until you get somewhere safe. Also, take note if you have a mini spare or “T Type” spare, remember that they are temporary and for short distances. Take your tire to a professional: Finally, you’ve made it! Get your tire fixed and be on your way. If you’re in the Rapid City area, bring your vehicle to Tyrrell Tires, we will be happy to help you get back on the road!